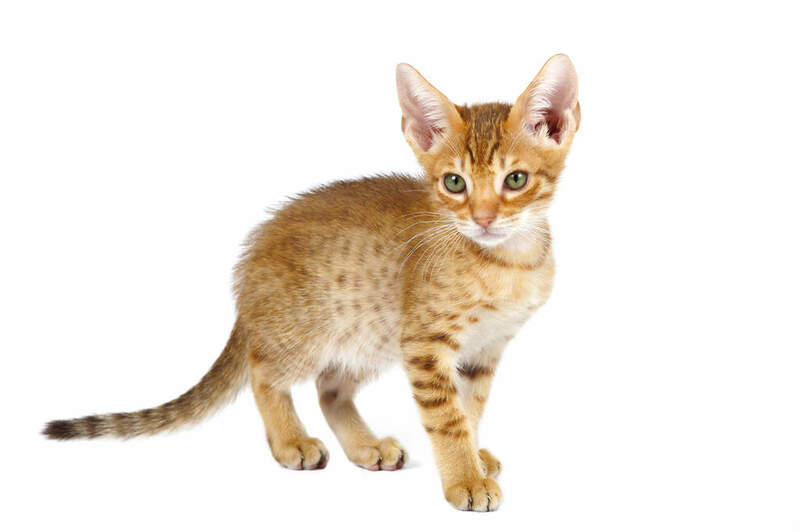 The Ocicat was created by accident by an American lady called Virginia Daly. She was trying to develop a Siamese with the same colour points as an Abyssinian. 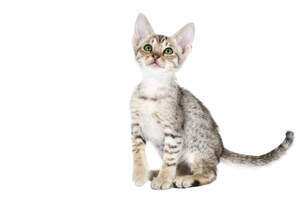 An Abyssinian called Dalai Deta was bred to a seal point Siamese female called Dalai Tomboy Patter and the resulting kittens looked like Abyssinians. She kept a female from this litter and named her ‘Dalai She’. Dalai she was bred with a chocolate point Siamese called Whitehead Elegante Sun. The litter from this mating included Siamese and Abyssinian points. She repeated this breeding and to her surprise an ivory kitten with golden spots was produced. This male kitten was named Tonga but her daughter declared that he looked like an Ocelot and wanted to call him Ocicat which is how the breed gained its name. 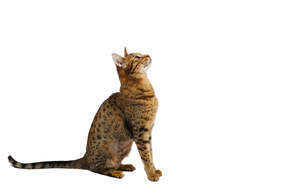 Tonga was sold as a pet and neutered but a well known geneticist called Dr Clyde Keeler heard about Tonga from Mrs Daly and he became very interested because he wished to create a cat that was similar in looks to the extinct Egyptian Spotted fishing cat. Whilst Tonga could clearly not be used, Virginia Daly repeated the breeding that produced him and luckily it produced a yellow spotted male who she named Dalai Dotson. Throughout the 1960s Mrs Daly worked on her new breed but progress slowed in the 1980s when she became unable to continue her work in the same way. Other breeders took up Mrs Daly’s work and became fascinated by the spotted cats and wanted to develop new lines. 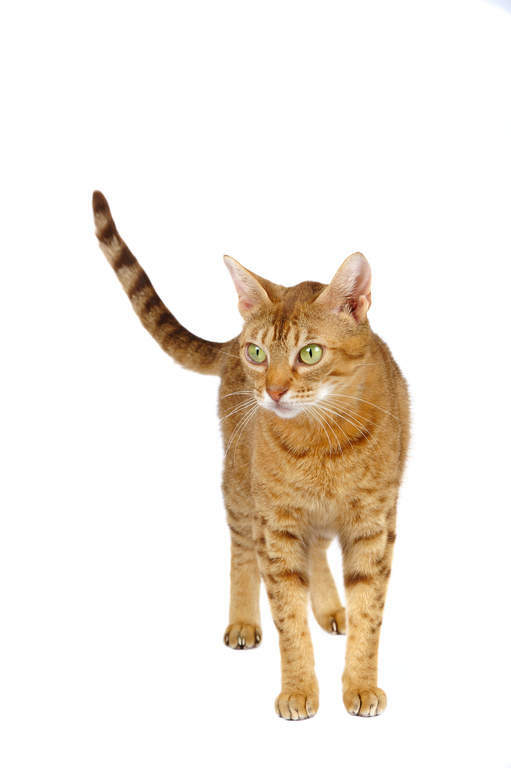 Eventually the breed moved forward and TICA granted the Ocicat championship status in August 1986. Ocicats are devoted and confident cats. They love their families and are highly interactive cats who always want to know what you are up to. They are also very agile and enjoy a good play session - especially if it involves chasing after their favorite toy. 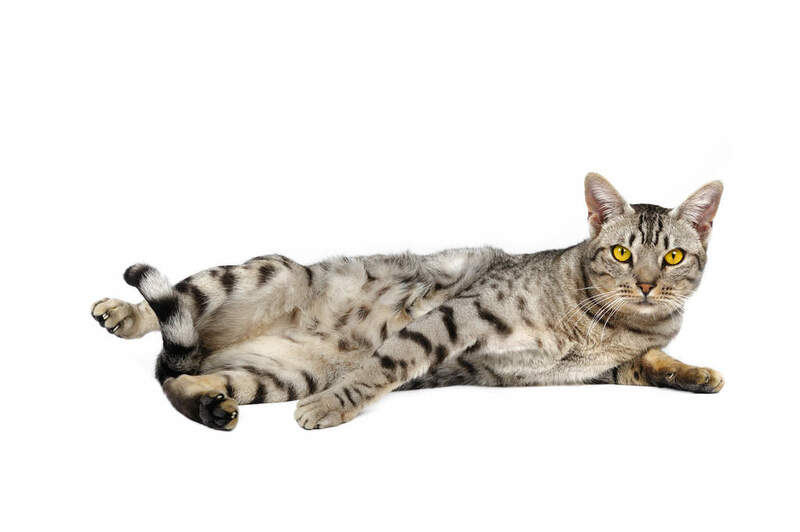 Comes in a classic tabby as well as a spotted pattern. Colours include silver, brown, blue, black and fawn.